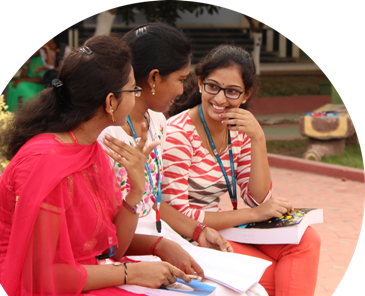 Vishnu Institute of Technology offers a mix of Games and Sports as well as many Recreational activities. VISHNU is immensely proud of its athletes and promises to "keep their deep roots" in the communities which support them and strive for both academic and athletic excellence. The provision of a sport or recreation facility can significantly enhance the quality of life. Activities held within sport and recreation facilities can encourage participation, promote health and wellbeing and foster a sense of community. The Department of Sport and Recreation have developed curriculum which is an integral and compulsory part of the education process. Sports help to build character and teach the importance of discipline in life. It inculcates a respect for rules and allows the participants to learn the value to self control. The spaces can accommodate many different sports at all levels. The main sports hall is capable of being adapted to cater for large-occupancy events. The new building was designed to link with existing facilities on the campus to form a large, integrated sports complex. Sport at VISHNU, is offered at levels to suit every student. The range and quality of student sports clubs, facilities and classes available will be a revelation.